Offer your guests fabulous treats in a classic apothecary jars. 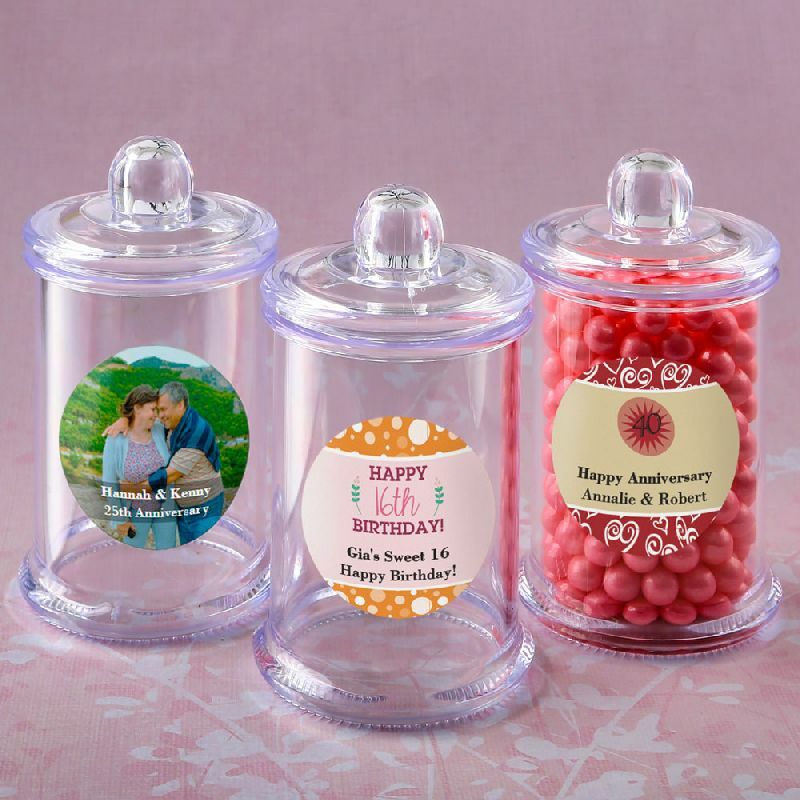 The jars can be used after your event, at home, to store spices, candies, trinkets and other treasures. 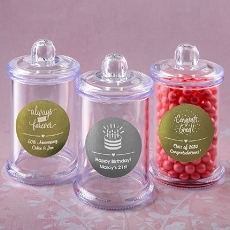 Personalize the jars with a sticker designed by you. Offer your guests a thoughtful favor when you fill these classic jars with cookies, candy, treats, honey, fudge, spices, baths salts or other delightful treats. 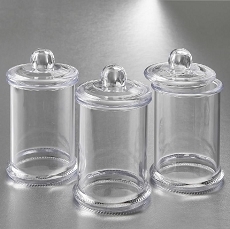 The jars are made from clear acrylic, they have a separate acrylic lid and a 2.5oz capacity. The side of the jar is the perfect place to put your personalized label. You can choose from an exceptional selection of colors, themes and customized titles for any occasion, or upload your own photo to create one-of-a-kind mementos of your big day. Use our exclusive Design Tool to preview your customized label before you order. Labels come on 8.5" x 11" easy peel and stick sheets. Each sheet contains 30 labels sized 1.5". A great favor idea that comes packed in a cello bag. These classic jars are versatile and can be used for any type of occasion. Size 3 3/8" x 1 7/8"